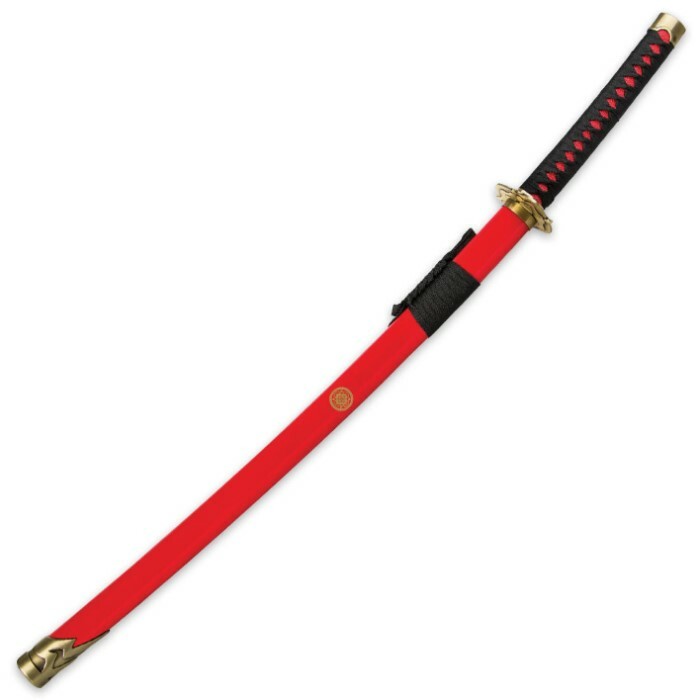 The Kashuu Kiyomitsu Touken Replica Nihontou Fantasy Sword is an incredible addition to your collection. 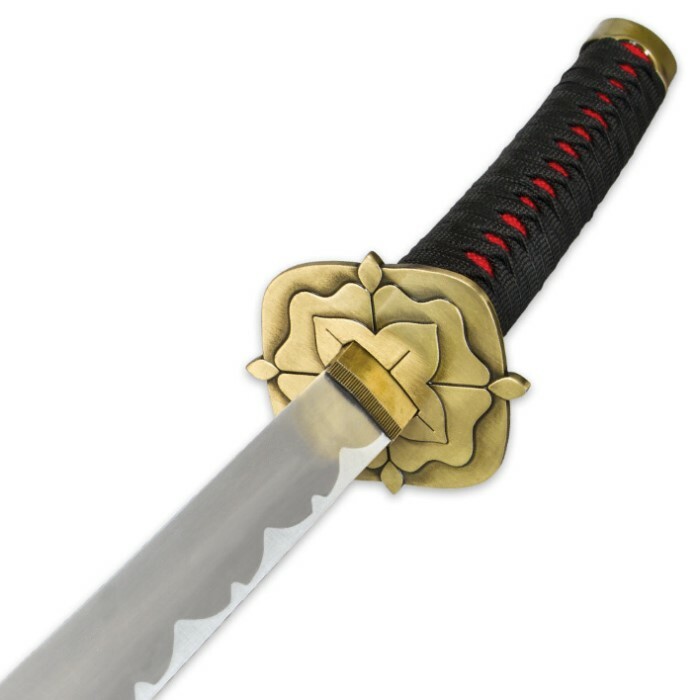 It features a 27" carbon steel blade with the signature tsuba and handle design that you will recognize immediately from the gaming series. It is a very detailed replica. 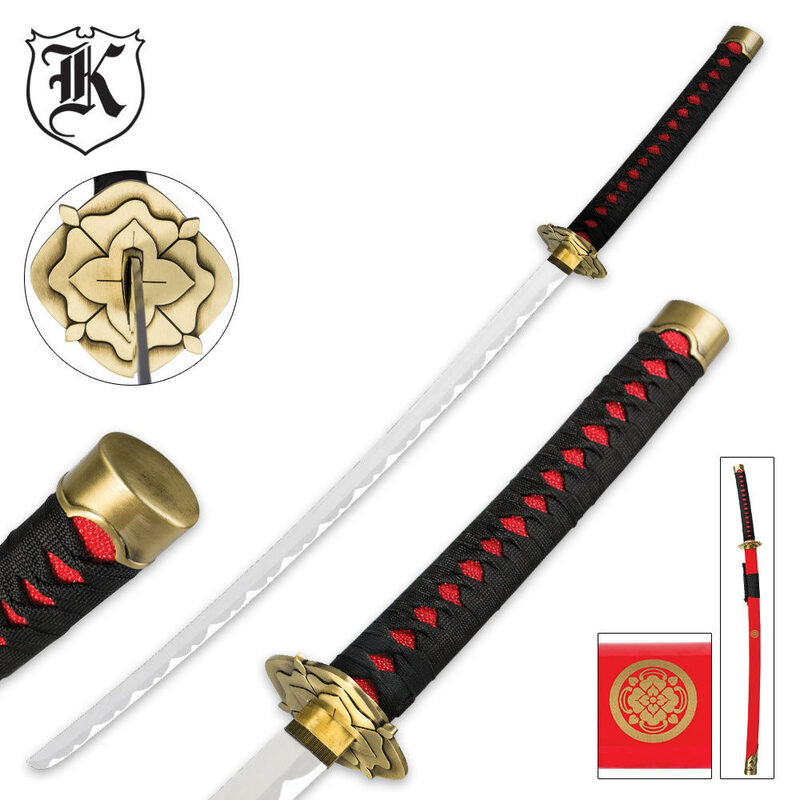 A sleek wooden scabbard is included.